RIVERSIDE, California, January 3, 2018 – Steve McQueen’s name is synonymous with the word “cool,” and for many years the iconic actor who starred in films such as Bullitt, The Magnificent Seven and The Great Escape, was the highest-paid star in Hollywood. However, few people knew that late in his life McQueen began a spiritual journey that led to his embrace of the Christian faith. 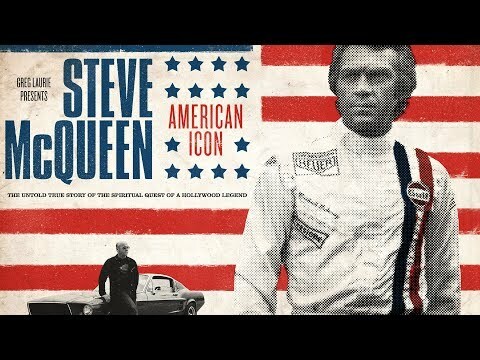 McQueen’s little-known story unfolds in Steve McQueen: American Icon, coming to DVD and Digital HD on February 20, 2018 from Universal Pictures Home Entertainment. Universal Pictures Home Entertainment (UPHE – http://www.uphe.com) is a unit of Universal Pictures, a division of Universal Studios. Universal Studios is a part of NBCUniversal, one of the world’s leading media and entertainment companies in the development, production, and marketing of entertainment, news, and information to a global audience. NBCUniversal owns and operates a valuable portfolio of news and entertainment television networks, a premier motion picture company, significant television production operations, a leading television stations group, world-renowned theme parks, and a suite of leading Internet-based businesses. NBCUniversal is a subsidiary of Comcast Corporation.